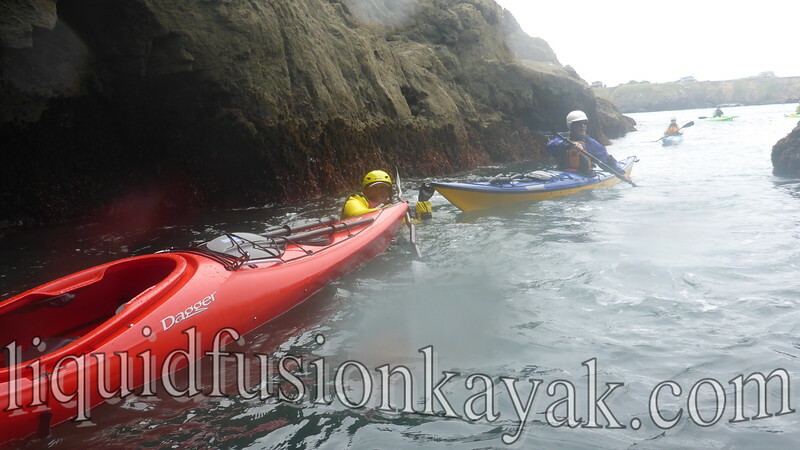 This weekend, we taught our first sea kayak rock gardening class of the season on the Mendocino Coast. We had a full class with 6 students. For rock gardening, we find this to be the ideal number - 3 to 1 student to instructor ratio and 8 paddlers total on the water. 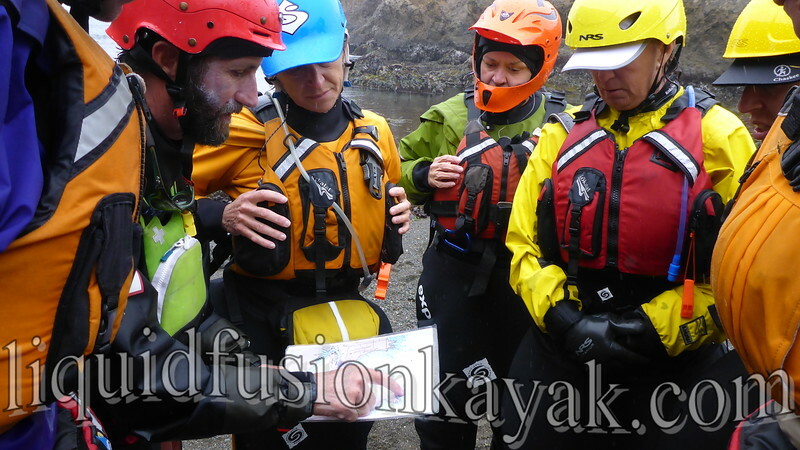 This weekend's class was the first of our Art of Sea Kayaking Mendocino Series. Several years ago when we were teaching a sea kayak rock gardening class, we asked the students for their goals for the class. The students' goals and expectations ran the spectrum from strokes to rescues to play to sea caves. Last year, we decided to specify the skills and topics of our sea kayak rock gardening classes And decided to make them 2 day classes. Day one focused instruction and day two was application. 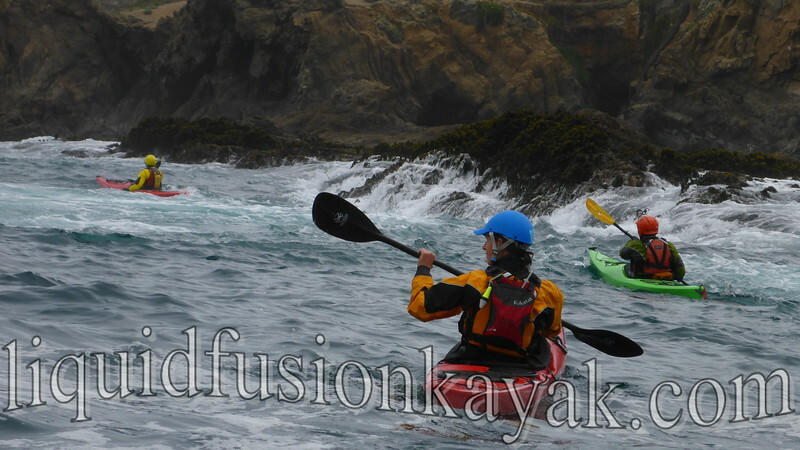 Volia` - the Art of Sea Kayaking Mendocino Series was born and our students love it!!! Student may select to do one or all four of the classes depending upon their skills and interests. 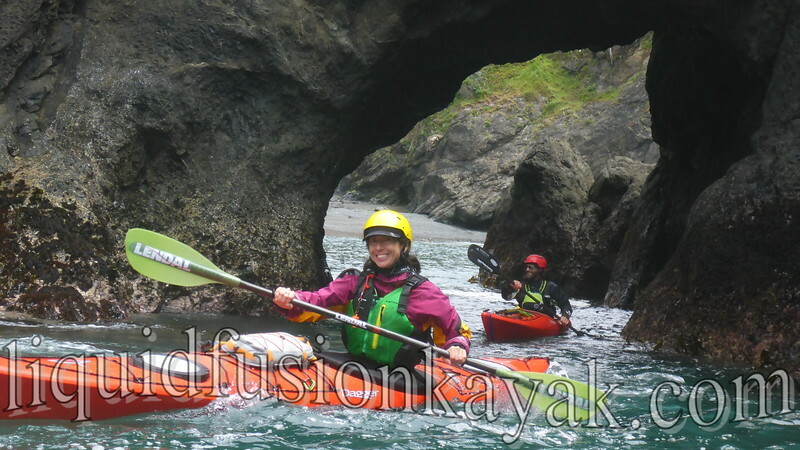 There is the option of a 5 day Art of Sea Kayaking Mendocino Course over Labor Day Weekend and also the option for paddlers to their friends or paddling club and schedule a custom class. This weekend's Touring Ocean Rock Gardens was a great start to the series. We had beautiful weather, gray whale sightings, and lots of learning. Many of the students are coming back in a couple of weeks for Surfzone FUNdamentals. This is exciting because we get to build upon skills taught to give them a comprehensive skills set for sea kayaking rocky coastlines like the Mendocino Coast, and share with them different stretches of the Mendocino Coast. 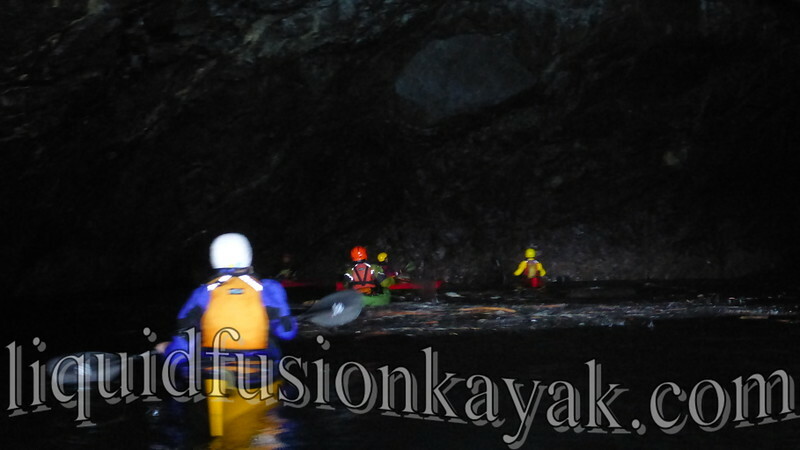 Of course, the benefit of choosing Liquid Fusion Kayaking for sea kayaking on the Mendocino Coast is that it is our backyard playground both on and off the water. 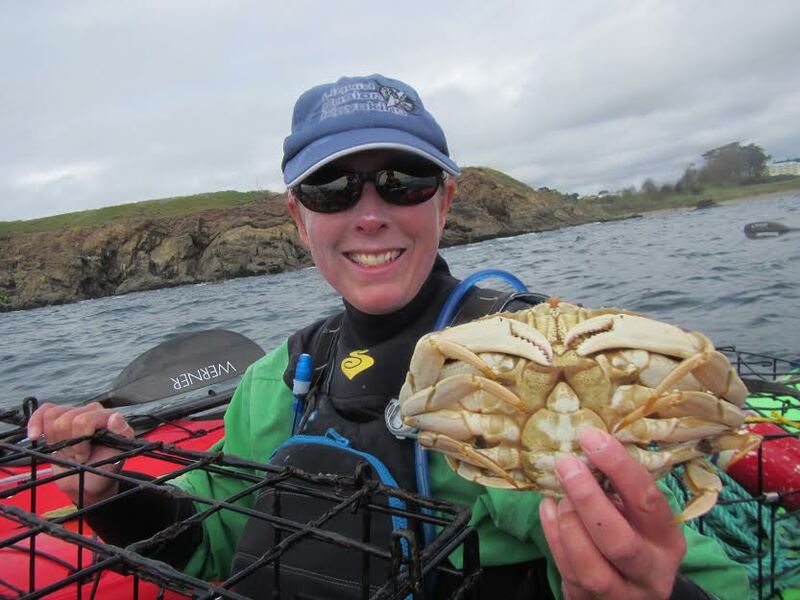 We are the local experts on kayaking but know the other important things to do, eat, and drink on the Mendocino Coast.